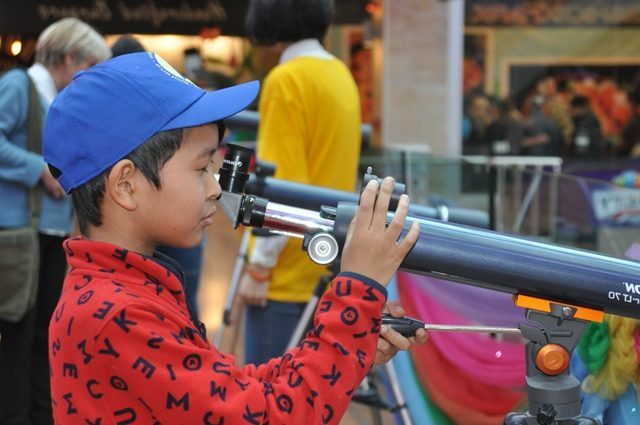 On November 11, a team of FLEX alumni in partnership with the Institution of Youth Development and Move Green organized an event called the Day of Science and Ecology to attract attention to ecological problems and to make science approachable to the community through activities and experiments. 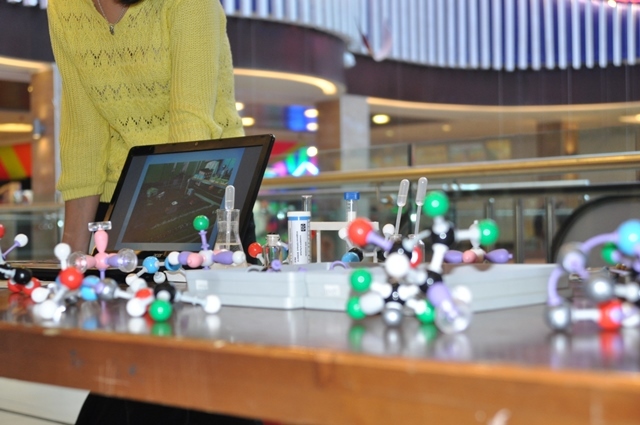 The Day of Science and Ecology consisted of three parts: a science experiment show in the Bishkek Park mall, an exhibition of scientific inventions, and a discussion on current hot topics in the field of science at the DoDo Pizza restaurant. 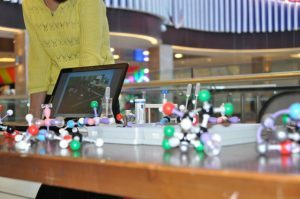 FLEX alumni coordinated the activities; making science fun for the 300+ visitors at the event. During the science experiment show, participating organizations held performance ranging from dancing robots and optical illusions to soap bubble and chemical reaction shows. 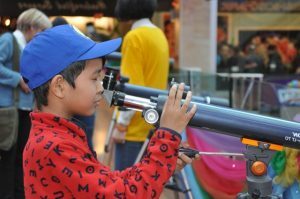 Participants looked at slides through telescopes offered for the event by the Academy of Science and watched a movie about our Universe offered by the Planetarium. 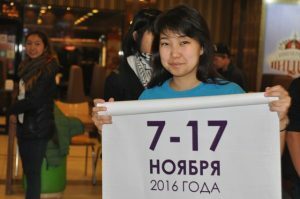 The Water Museum of Kyrgyzstan led a talk about the importance of water and taught the audience how to save water in our daily life. At the follow on event, hosted my DoDo Pizza, participants watched the film by actor and director Leonardo Di Caprio Before the Flood. Prior to the film and its discussion, four experts in different fields of science spoke with the audience. Aijarkyn Kojobekova,PhD in Philosophy and an expert of Aigine Сultural Research Center (Aigine CRC), spoke about National heroes; Ruslan Rahimov, a teacher of Anthropology at the American University of Central Asia, talked about cultural differences; Amantur Zhaparov, Etnologist and historian, discussed traditions of Kyrgyz people and their definition; followed by Journalist for InterNews Salaidin Kamaldinov who discussed the use of social media to protect nature and improve the ecology. 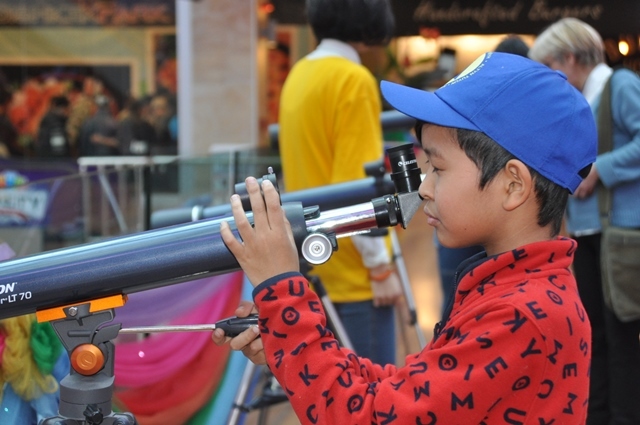 At the close of the event, participants discussed what they learned and saw, making parallels between the topics and life in Kyrgyzstan and noting ways to increase interest in science in the country. 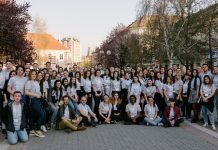 FLEX alumni played a major role in implementing the Day of Science and Ecology and developing partnerships. 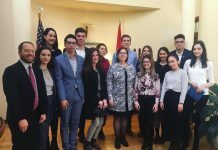 The following FLEX alumni worked together to make this event a success: Islambek Ashyraliev ’15, Kamila Churukova ’16, Duishogul Duishonbi kyzy ’16, Sevara Khashimova ’16, Aizharkyn Kudaibergenova ’16, Anastasiia Lysogorova ’16, Zhanna Marchenko ’16, Akylai Otkulbek kyzy ’16, Dastan Talapov ’16, Saira Turdumambetova ’14, and Gulnara Zholdoshbekova ’16. A thank you to partner organizations including Youth Development, Move Green, the Academy of Science, the Children’s Scientific Complex, Kyrgyz Turkish Lyceum, and DoDoPizza. Story written by FLEX Alumni Coordinator in Kyrgyzstan Altynai Klimova ’14.